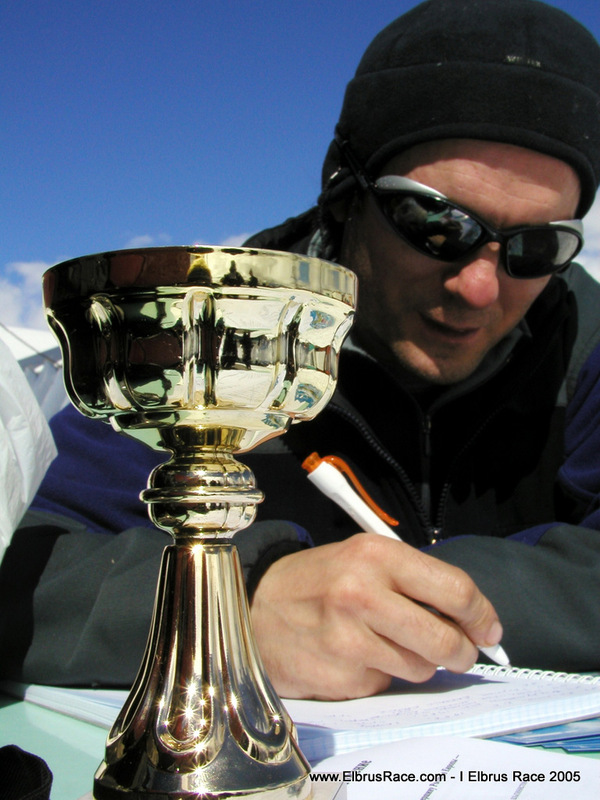 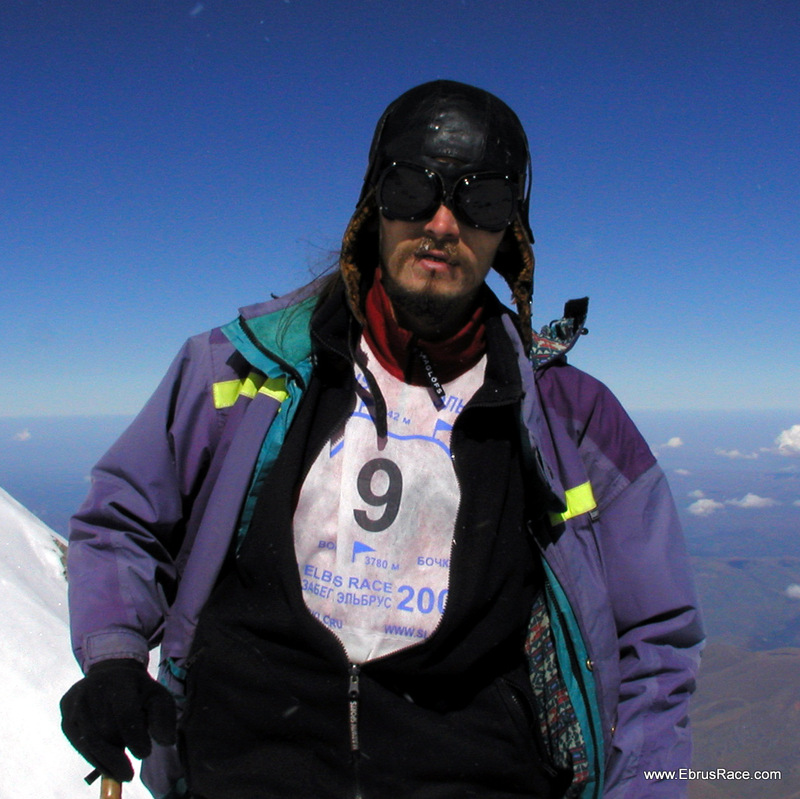 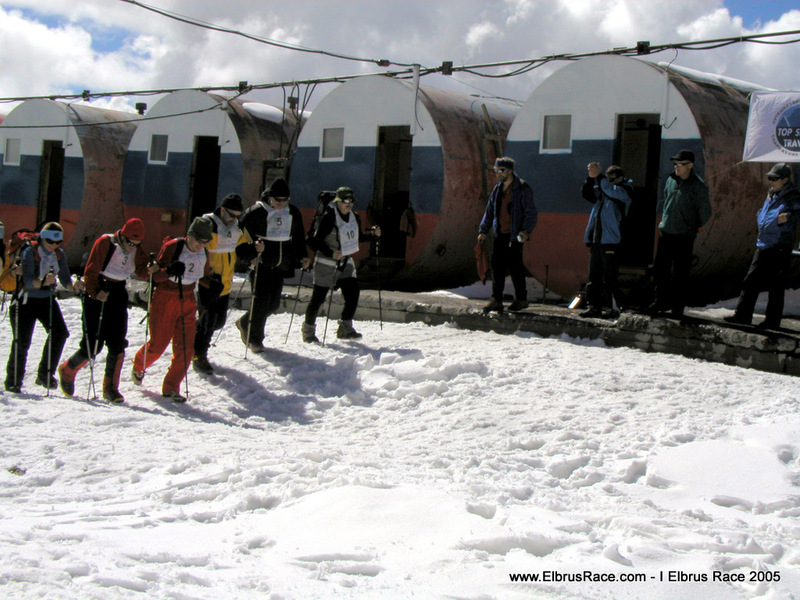 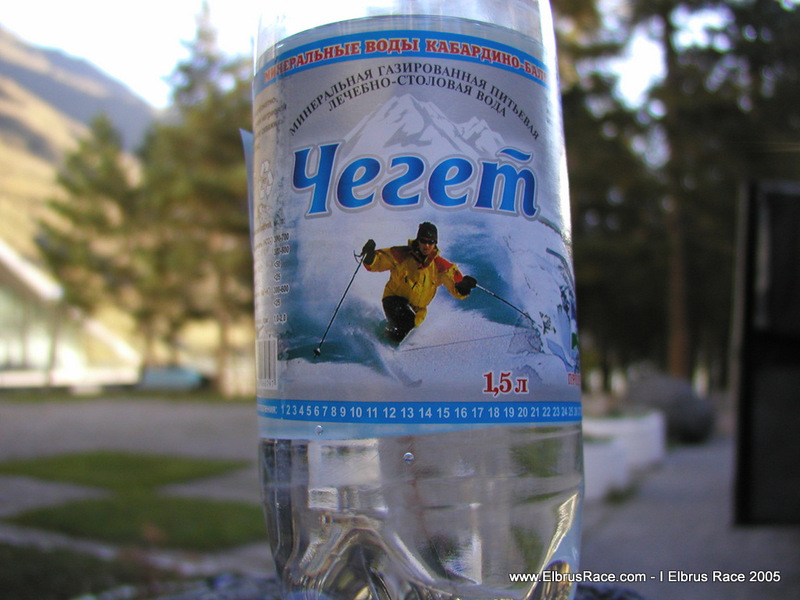 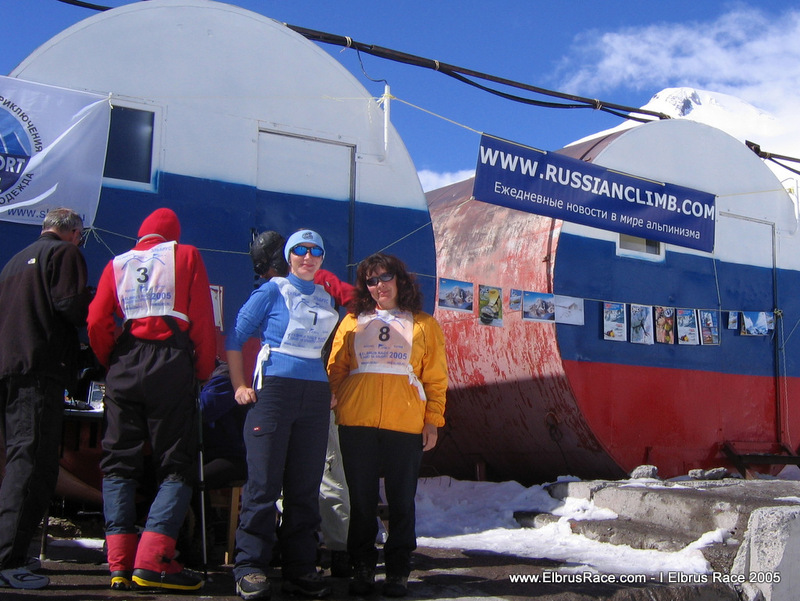 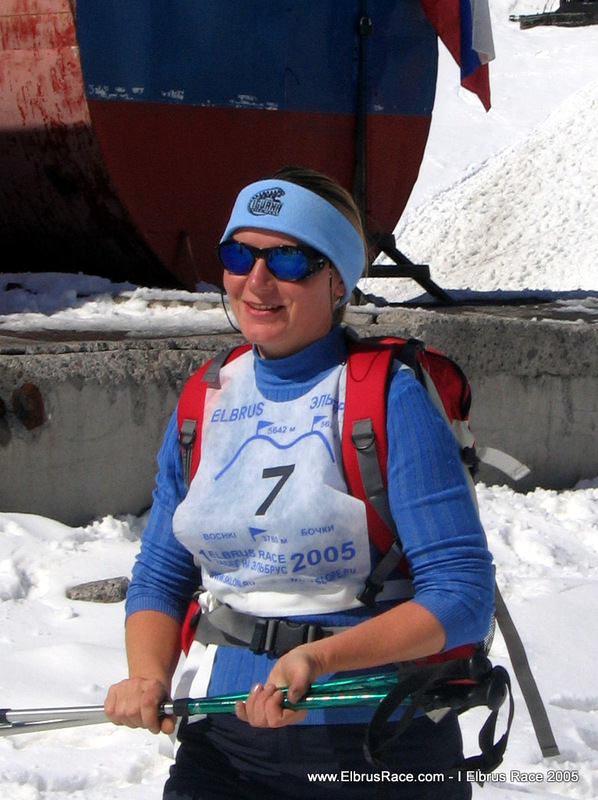 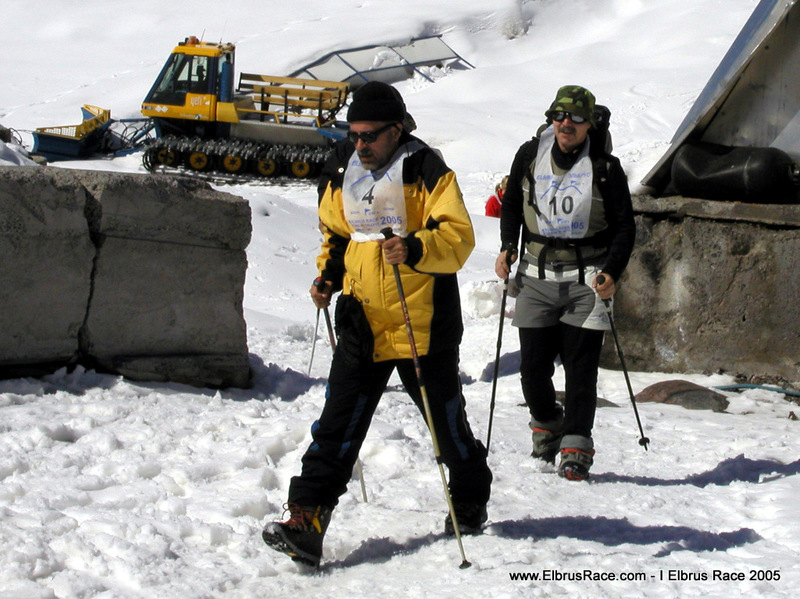 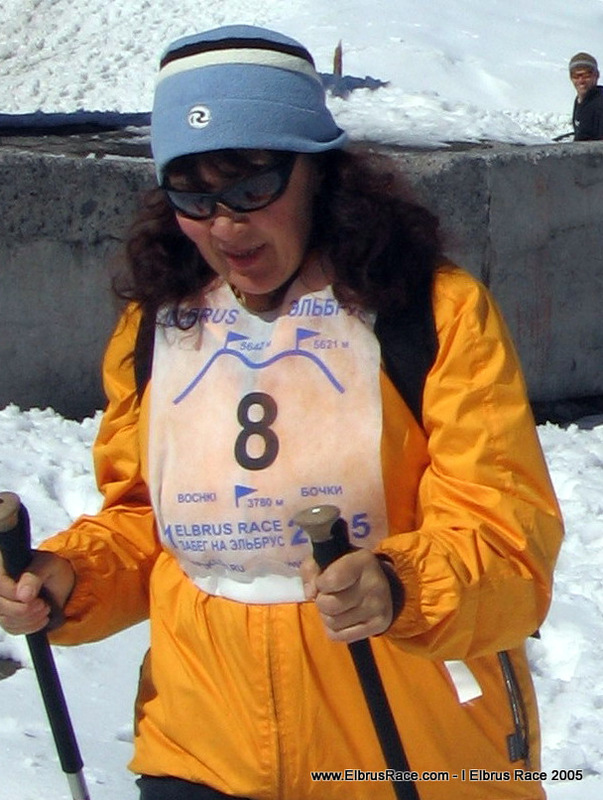 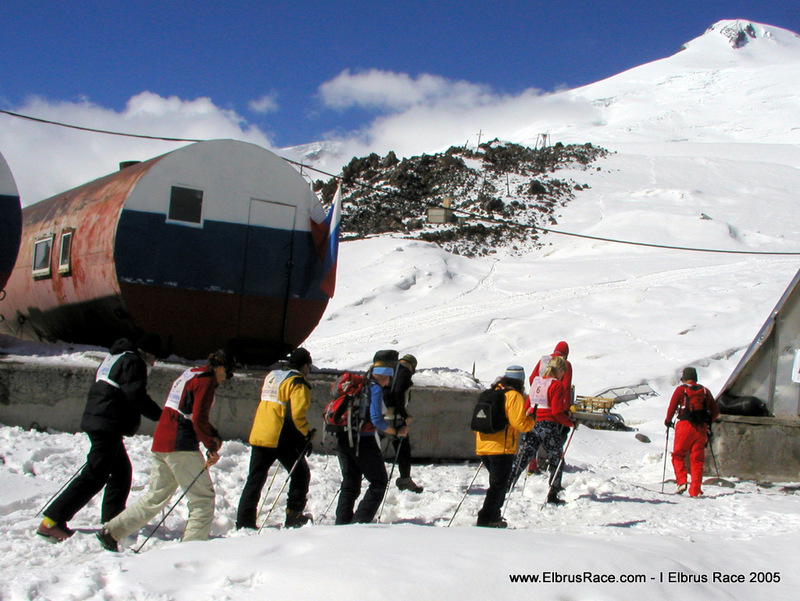 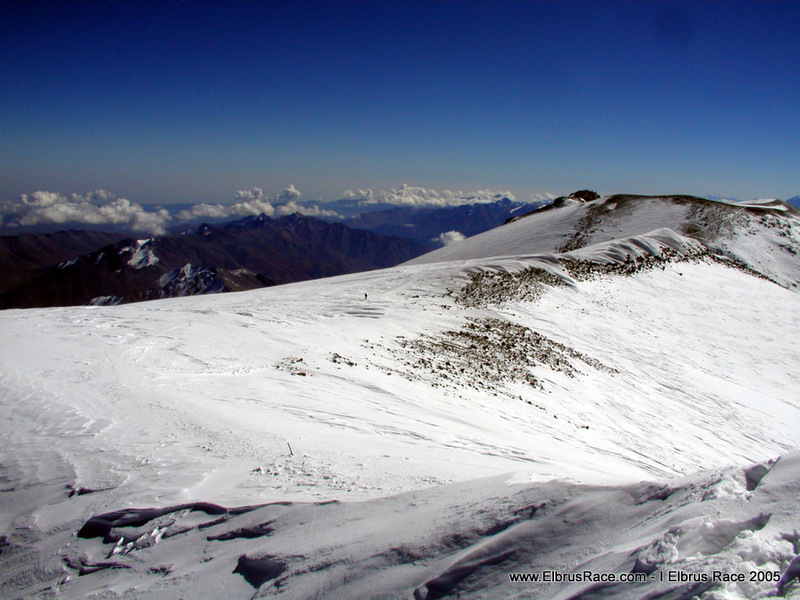 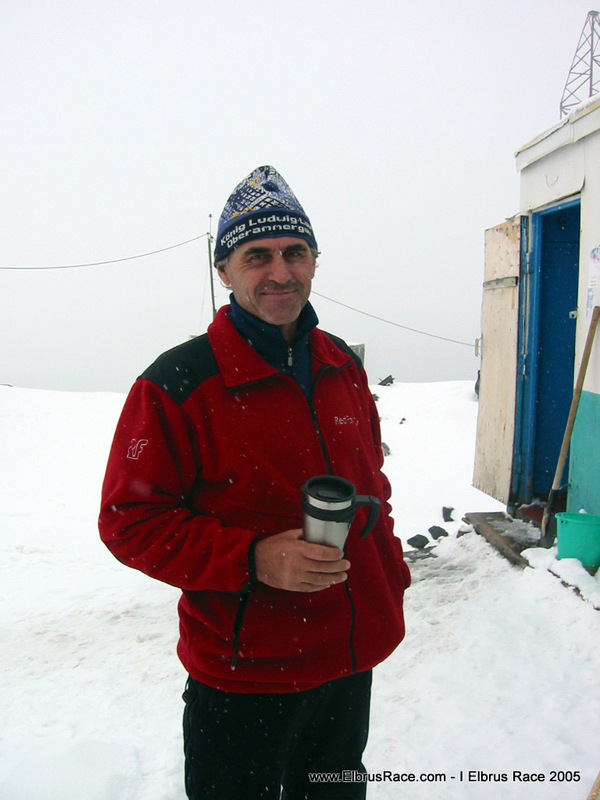 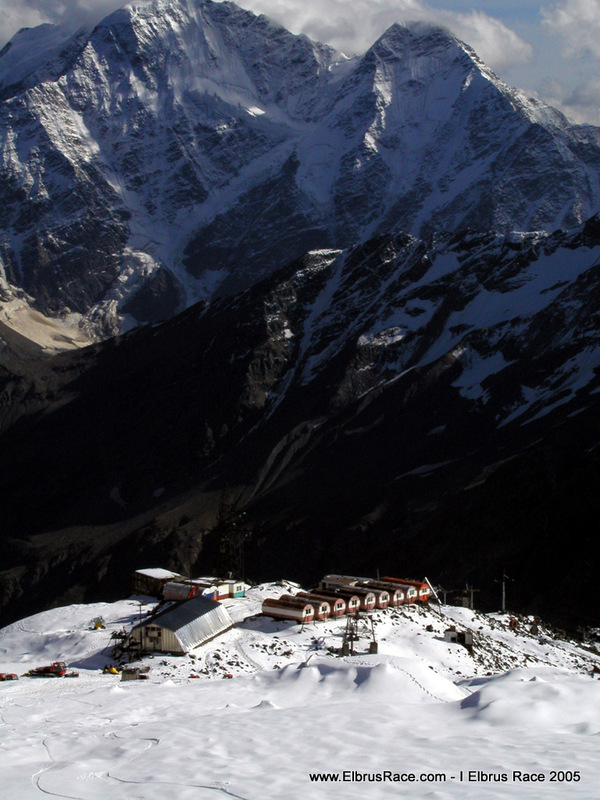 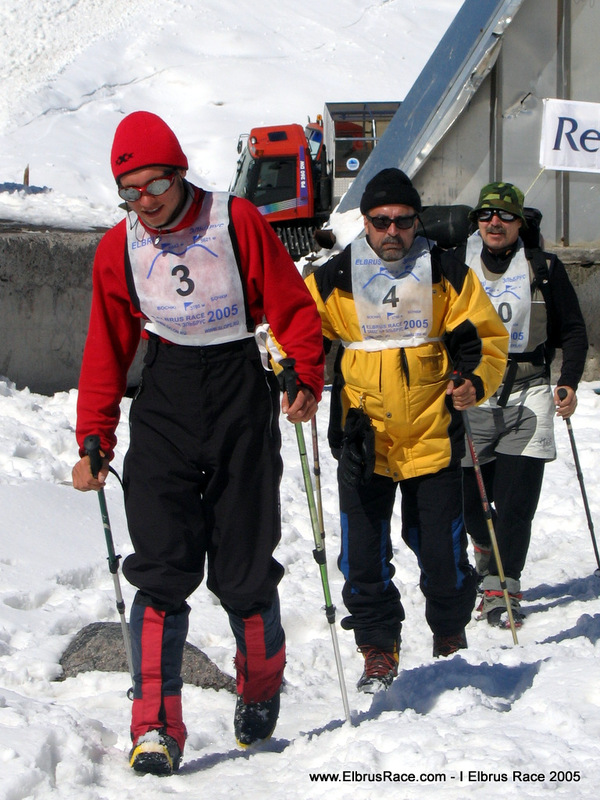 The first Elbrus Race took place September 15, 2005. 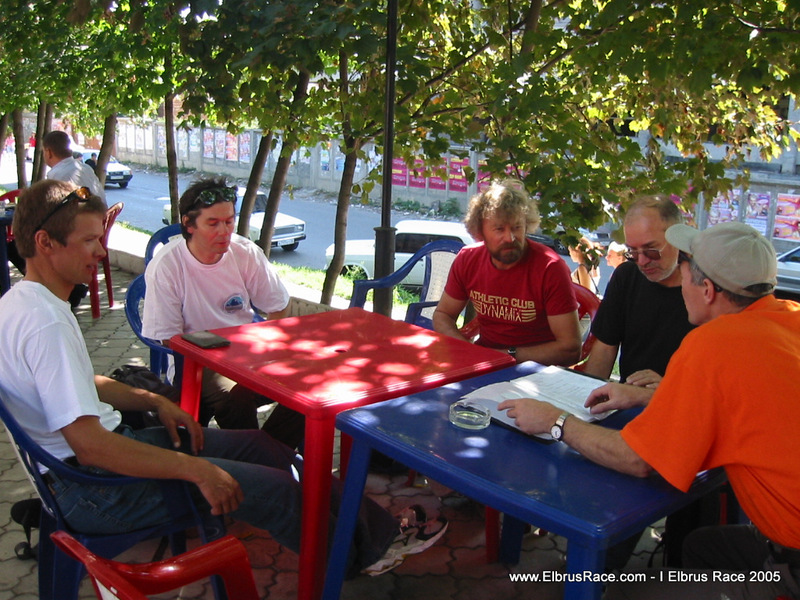 Detailed weather forecast the week before the start showed that in the race day the weather should be fine, with low wind. 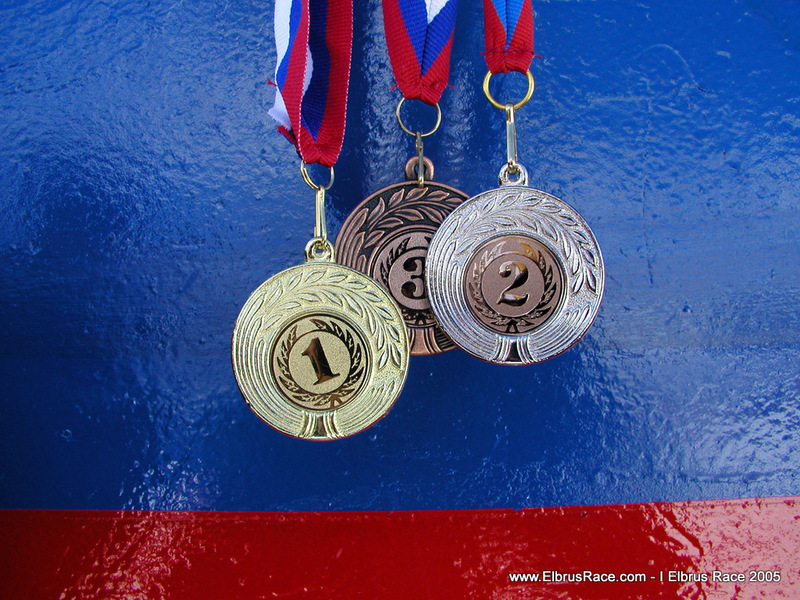 September, 14 was the qualification start (12 athletes were registered). 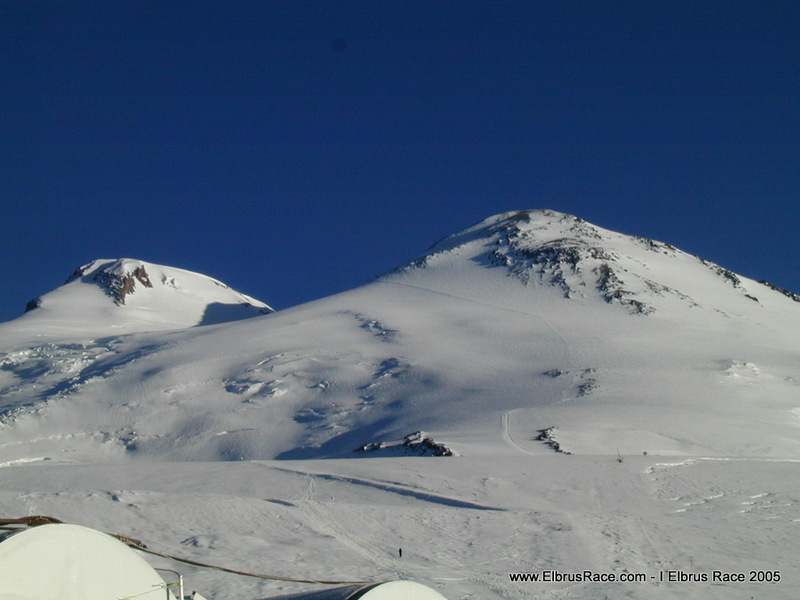 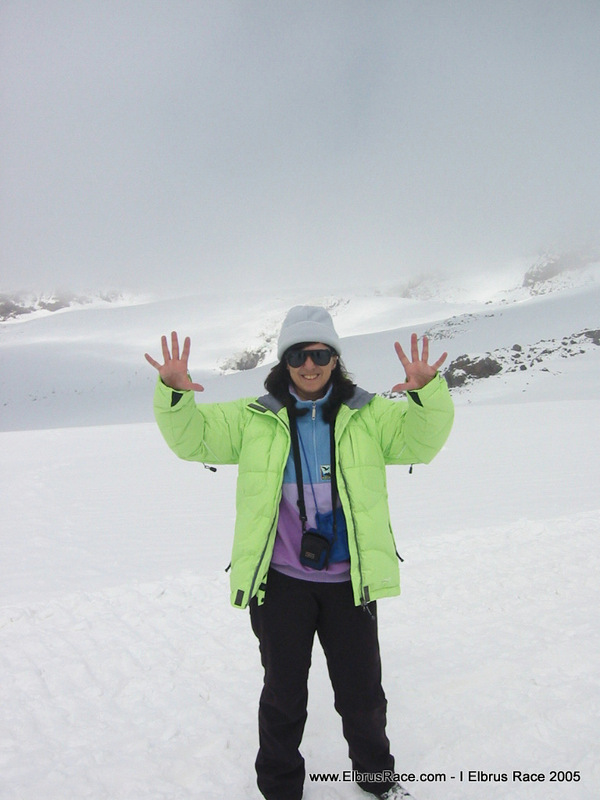 September 15 at 3-30 a.m. the weather on Elbrus was wonderful! 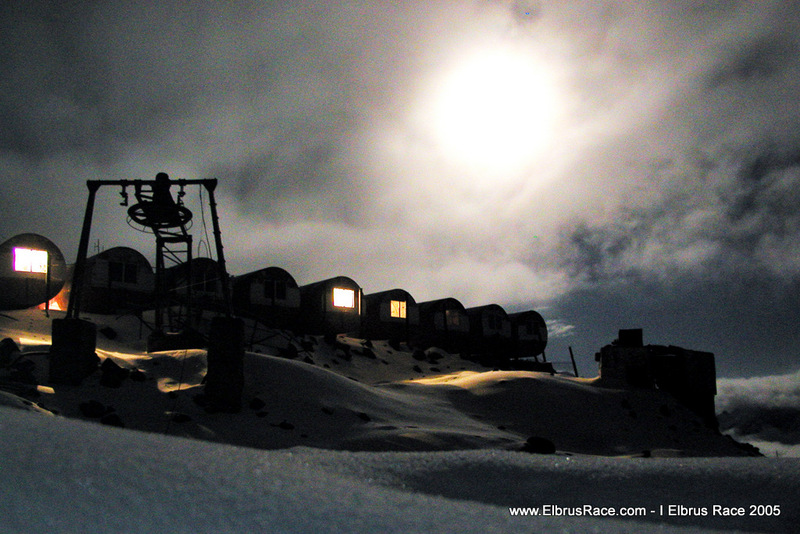 The clear sky was covered by stars, it was warm enough and nearly no wind. 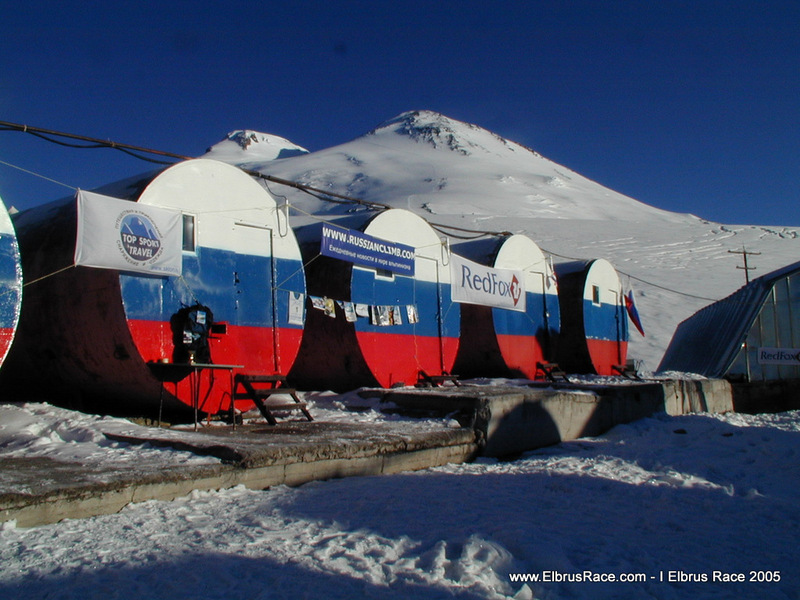 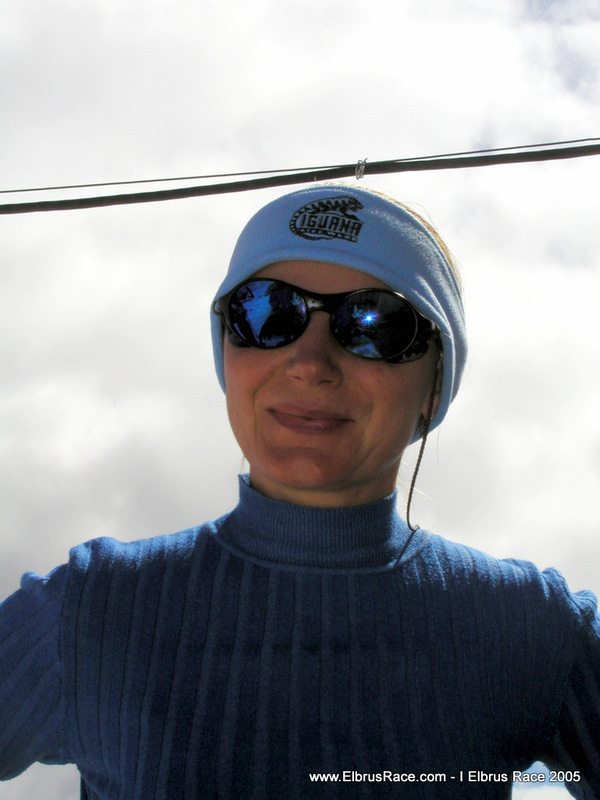 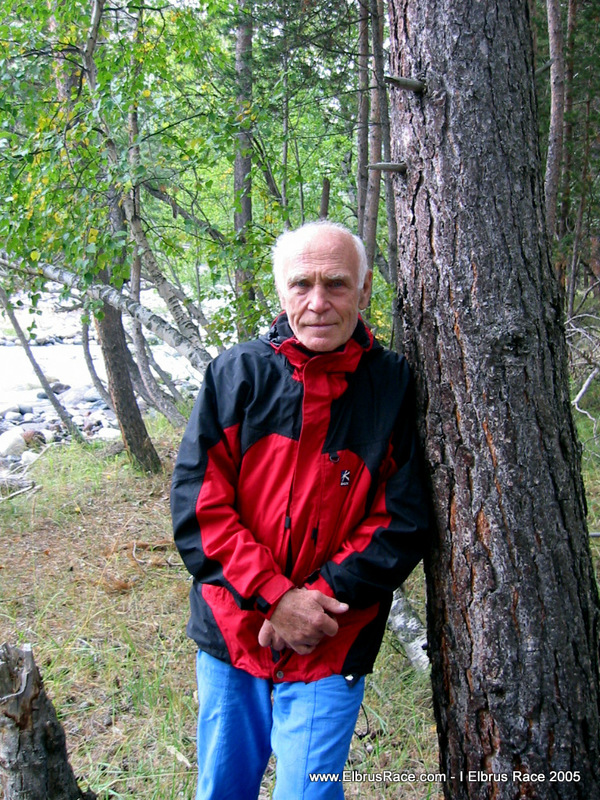 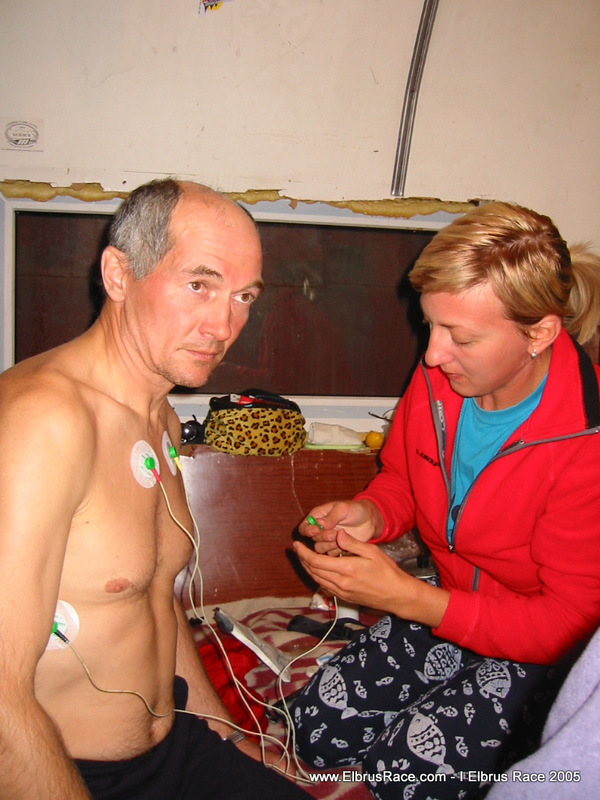 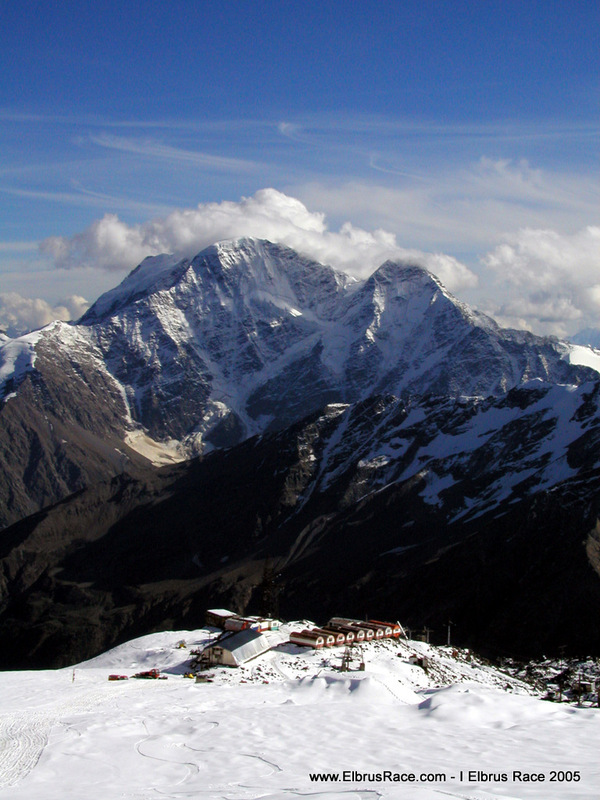 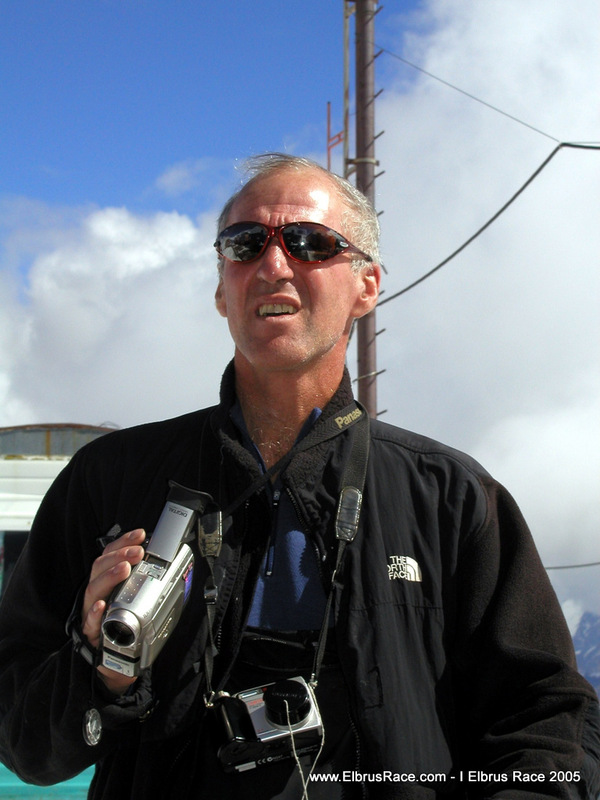 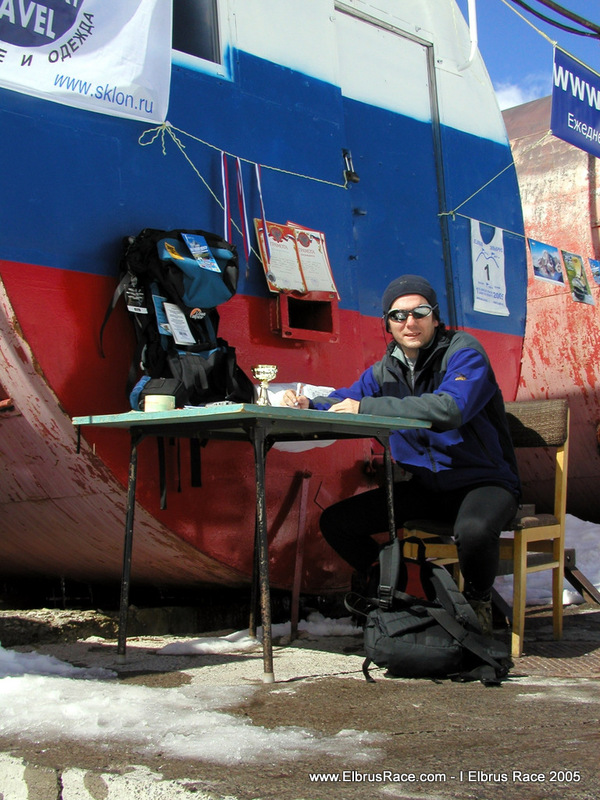 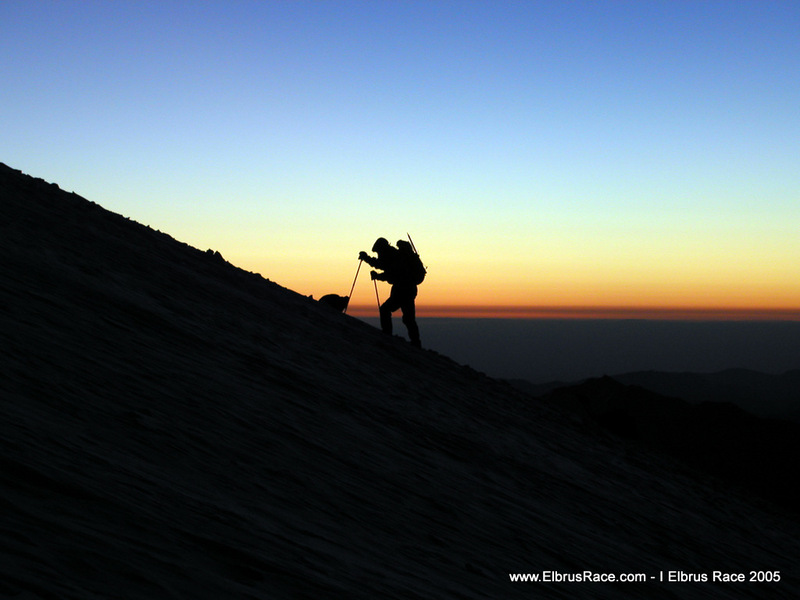 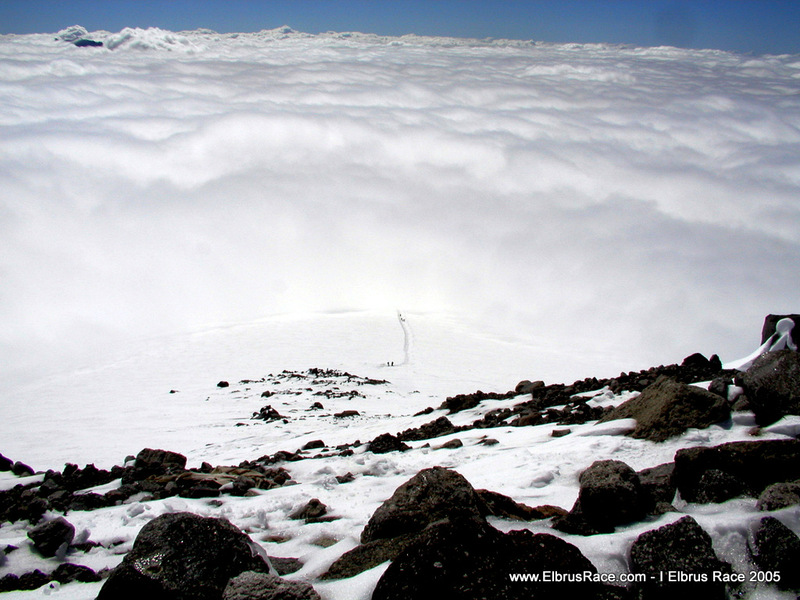 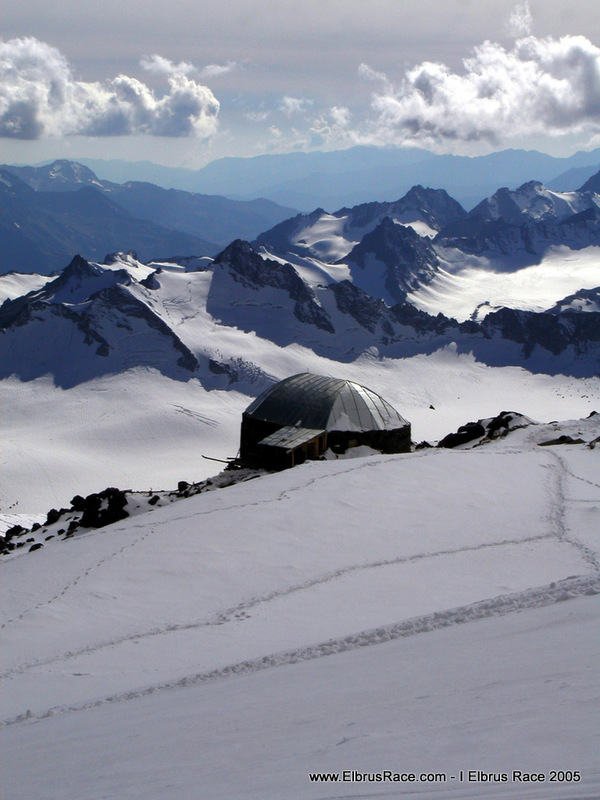 If it is an ideal place and time for that event, this time was such for the Elbrus Race. 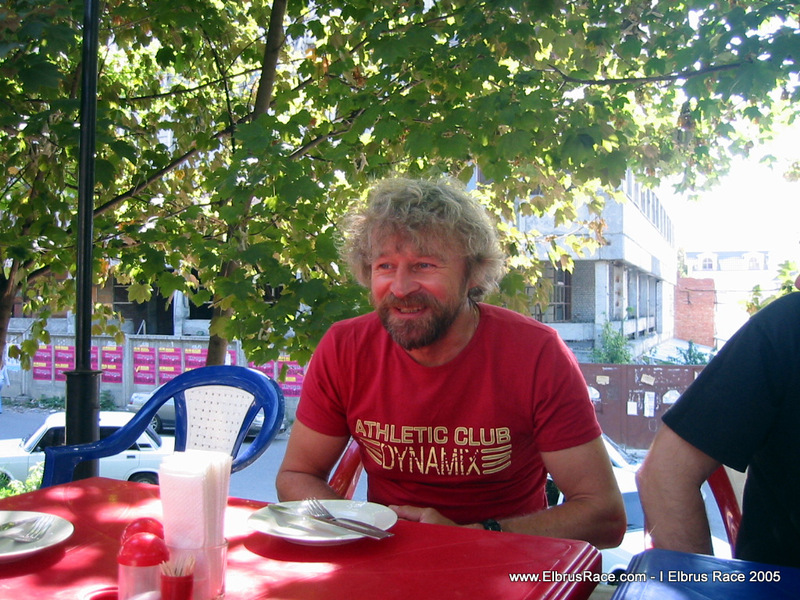 Serguey Bogomolov and Valentin Bazhukov — veterans, who remember great soviet Elbrus times, greeted competitors and organizers of the Race, said some words about the importance and perspective of such event. 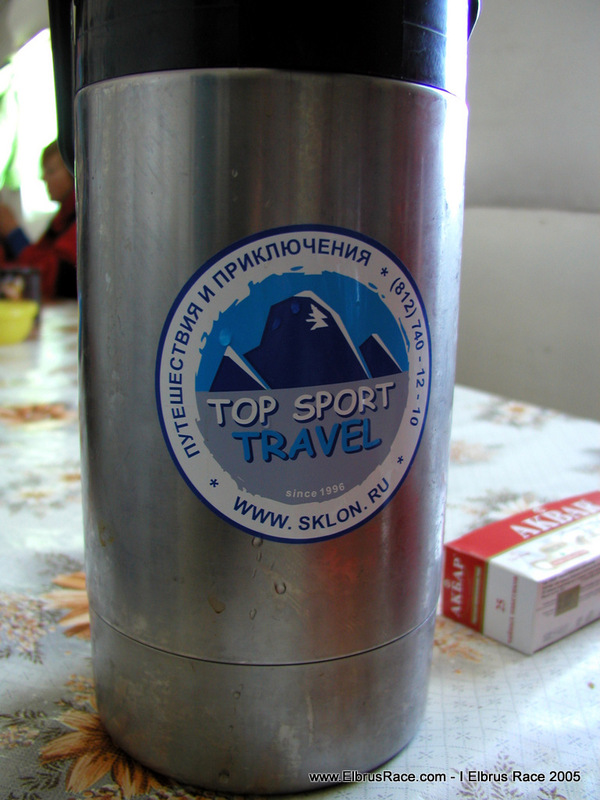 Russian mountaineering as a sport is not so strong last years as in former USSR, and such races may become the stimulus for sport ambitions. 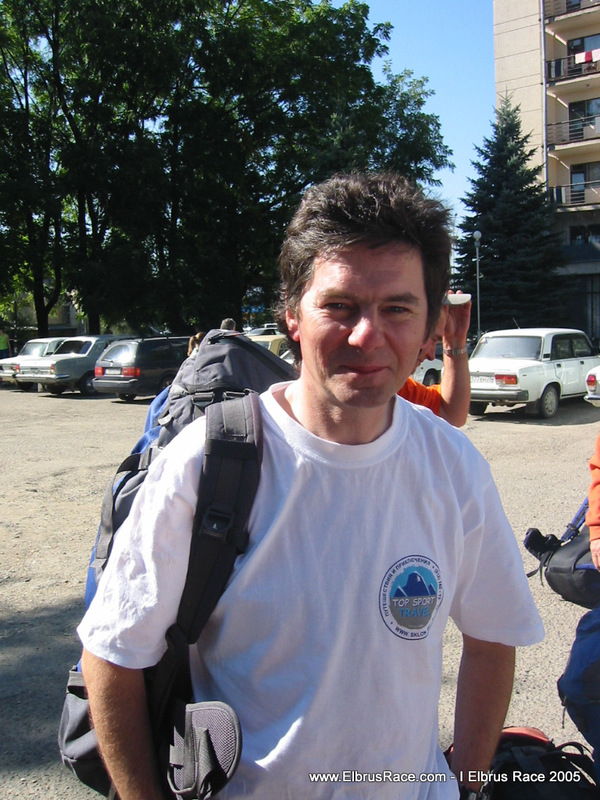 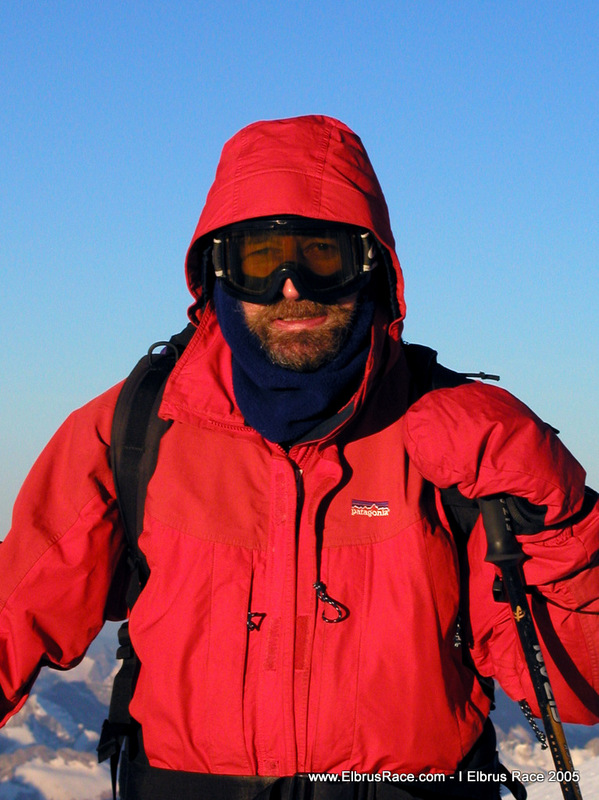 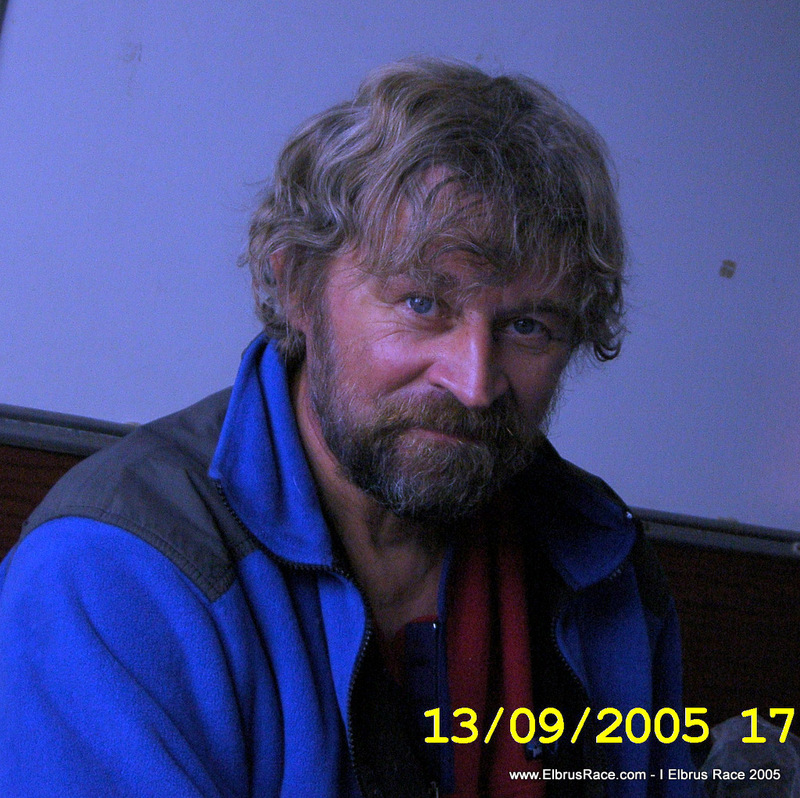 At 4 a.m. Top Sport Travel guides team (time and safety control), with warm clothes, tents, stoves, hot tea, headlights, medical kits, boots for atletes — for the descent, some climbing gear, video and photo cameras and so on… — started with SnowCat and went to Pastukhov rocks, and further to reach their positions at the route. 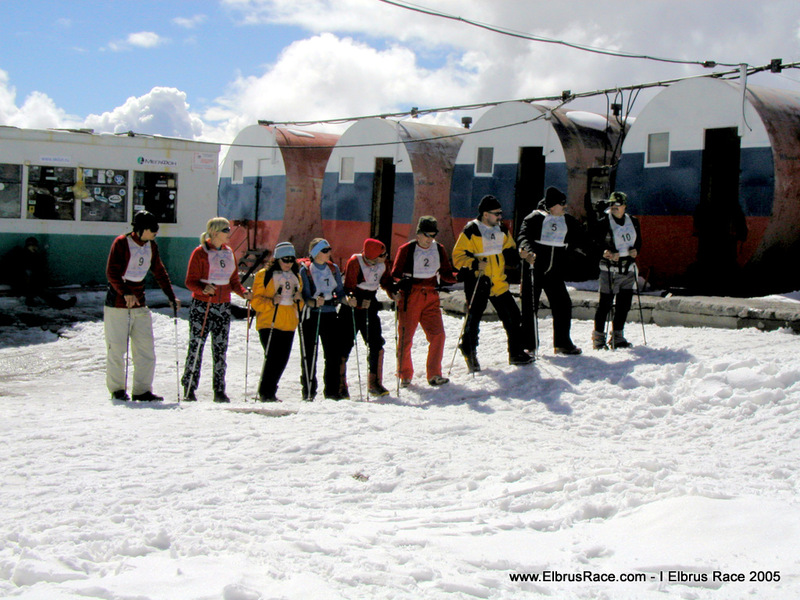 At 7 a.m. competitors started from Bochki huts, Garabashi. 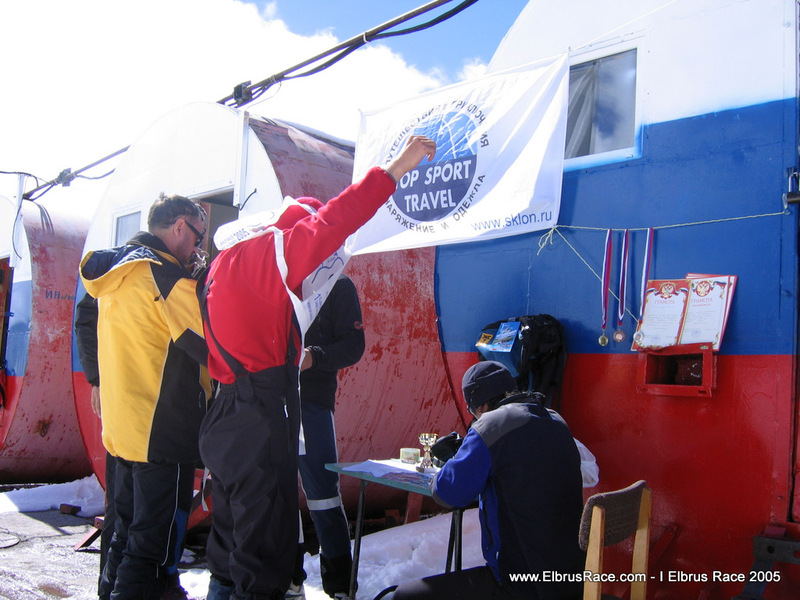 The start signal was announced by Valentin Bazhukov.